Allende meteorite picked up shortly after the fall. The individual shows thick layered vesicular fusion crust with few flow lines on ~65 percent of its surface. The fractured surfaces display a number of large CAIs. 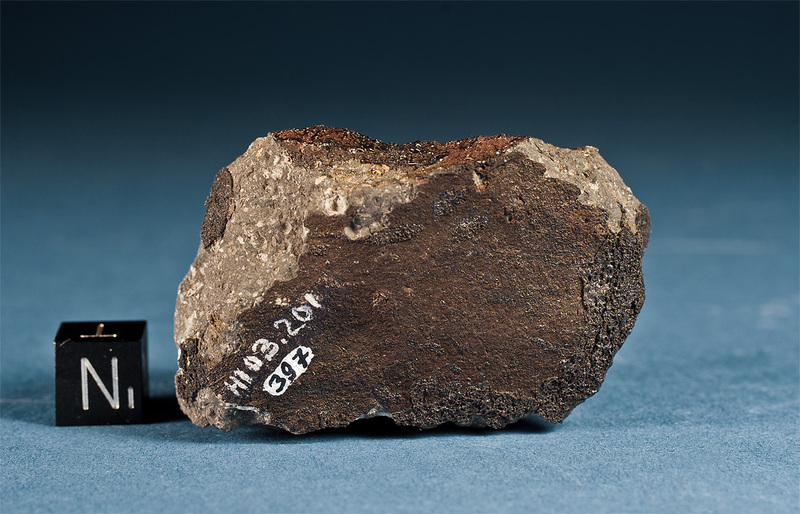 This specimen comes from the collection of the “American Meteorite Laboratory” and bears the Huss-number 103.201.